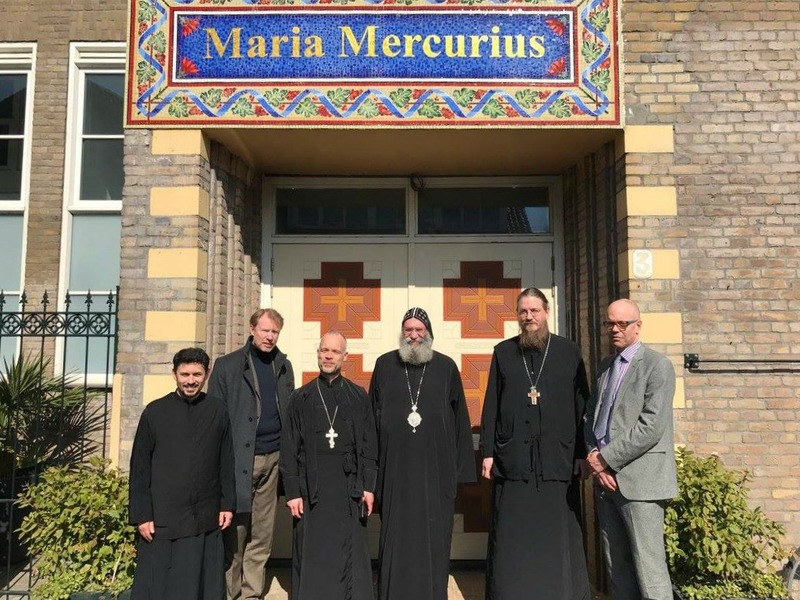 Representatives from Saint Vladimir’s Orthodox Theological Seminary (New York, USA), Sankt Ignatios Theological Academy, (Stockholm, Sweden), St Athanasius College (Melbourne, Australia), and the Amsterdam Centre for Orthodox Theology at the Vrije Universiteit Amsterdam met in Amsterdam on March 27 to 28 to discuss areas of mutual concern and possible areas of cooperation. The participants were His Grace, Suriel, Bishop of Melbourne and Chancellor and Dean of Saint Athanasius College; the V. Rev. John Behr, Dean of Saint Vladimir’s Orthodox Theological Seminary and Metropolitan Kallistos (Ware) Chair in Orthodox Theology at VU; Rev. Dr. Joan Lena, Lecturer at ACOT; Fr Michael Bakker, Director of ACOT; Olle Westberg, Chancellor of Sankt Ignatios Theological Academy; Michael Hjälm, Dean of Sankt Ignatius Theological Academy. Watch on our YouTube channel a video recording of the public event on 27 March, during which Bishop Suriel describes, amongst others, how his college will be housed in a skyscraper.